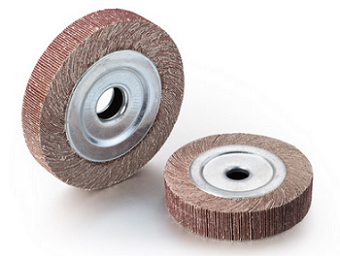 The coated grinding wheel generally consists of a working layer, a base body and a transition layer. The working layer is composed of abrasive, binder and filler, and is the working part of the grinding wheel. The transition layer is composed of binder, metal powder and filler. It is a part firmly connected to the substrate. The base body is used to support the abrasive layer and is used. When the flange is firmly used, the grinding wheel is firmly clamped on the spindle of the grinding machine. The coating grinding wheel is mainly shaped by the outer circle, the end surface, the inclined surface, the outer round corner and the inner and outer circular arc surfaces. The diamond grinding wheel generally only rotates, and the tool grinding wheel not only has the rotation, but also the feed motion and the reciprocating swing. Therefore, the rotational speed of the coated grinding wheel and the tool grinding wheel and the feed rate of the tool grinding wheel become important process parameters.